Venezuela is almost a failed state where millions of people face nationwide power outages, food shortages, hyperinflation, and where crime and looting have become a means of survival. The most powerful criminal organization in this apocalyptic reality is the regime of Nicolás Maduro and the syndicate of criminal families that make up his government. Venezuela's chavista government was once a legitimate political actor but it has devolved into a type of cartel of criminal cells that protect each other and run the nation through corruption and fear. There is the Maduro inner circle that includes first lady Cilia Flores, whose nephews tried to export tons of cocaine to the United States and who were tried and sentenced by a U.S. court as a result. There is Diosdado Cabello, the head of the National Constitutional Assembly, and Minister of Industries Tareck El-Aissami, both sanctioned by the U.S. government for engaging in drug trafficking along with a number of top military and National Guard allies. The bureaucracy, the armed forces and the security forces enrich themselves with kickbacks from government contracts, illegal mining revenue, foreign currency trading, extortion, kidnapping, and the smuggling of price-controlled gasoline and food with impunity, on top of generous, oil-financed salaries and benefits. They spy on each other and they empower the most criminal among them, those compromised by corruption or human rights violations, a common approach of criminal groups. And of course they jail, kill and raid the homes of those Venezuelans who oppose them. The main goal of this crime syndicate is to cling to power because leading normal lives in the legitimate world once again is no longer an option. To defeat this regime the international community must move beyond the diplomacy and sanctions used to deal with traditional political actors, and instead adopt techniques the police use to fight the mob. The first step is to acknowledge that the regime not only partners with drug cartels but also with guerrilla groups deemed terrorist organizations. Dissident members of the Revolutionary Armed Forces of Colombia (FARC) group – those who did not participate in the peace accord or have since dropped out – hide in Venezuela. 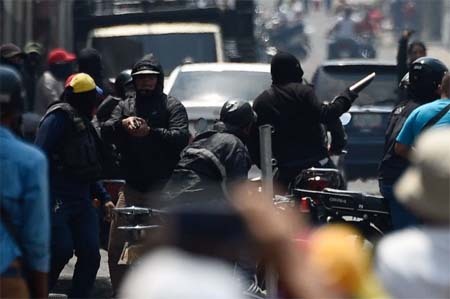 The National Liberation Army – responsible for bombings of oil infrastructure and civilian targets in Colombia – guards the illegal gold mining operations in Venezuela which help prop up Maduro and his collaborators. Venezuela's regime is not a terrorist state but it harbors and works with groups that have been designated as such. A following step would be to use intelligence and surveillance to understand the criminal enterprises of chavismo and to identify its weaknesses. 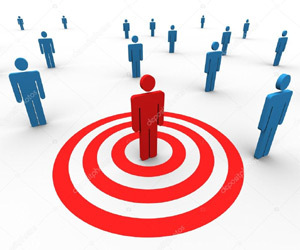 Police forces usually map out the command chain of crime syndicates and seek to pinpoint who is an enemy of whom, so they can work to deepen rifts within the criminal organization. This is the same approach chavismo has used for two decades to divide and weaken the opposition. Infiltrating chavismo to help identify its big illegal dealings and the practices of its leaders is the type of thing narcotics agents do to successfully dismantle cartels. This is not without risk because chavismo 's counterintelligence apparatus, advised by Cuban officials, constantly monitors dissenters inside and outside the regime. But it is not impossible. The Drug Enforcement Administration already successfully infiltrated the cocaine smuggling plans of Maduro's nephews, which served to put them away. But when infiltration is too risky, paying informants to confess and to turn on the top capo is another tried and true police strategy. There are a number of chavistas who would be willing to give information on the regime's inner workings in exchange for being allowed to keep their ill-gotten gains, or for assurances they won't be prosecuted in the future. Cutting off the money flow of both legal and illegal cash that helps the regime survive is paramount. For Venezuela that will mean continuing to tighten sanctions as well as finding ways to track and seize shipments of illegally mined gold. Of course wresting control of Citgo from the regime has hurt Maduro, and having bond holders to go after government assets would further undermine the regime's financial strength. Taking advantage of the mercenary nature of chavismo can help, by eventually offering rewards for the surrender and delivery of Maduro and his top lieutenants. In fact, the U.S. government has in the past indicted a sitting head of state, Manuel Noriega, in 1988 for drug running, money laundering and racketeering - charges that would easily stick to Maduro and scores of his allies. The U.S. government eventually offered a $1 million bounty for Noriega. Treating Maduro like a criminal is not easy in a world of liberal democracies still inclined to see his regime as a legitimate expression of Venezuelan voters. The world must understand that chavismo now uses progressive rhetoric as a veneer of legitimacy to disguise its increasing criminal nature. International laws protect heads of state and government officers from being arrested, but then most of the international community does not recognize Maduro as a legitimate president anyway. The willingness to arrest Maduro would limit his ability to travel. Coming to terms with the criminal nature of the regime and treating it as such can make its survival more difficult in the long run. This approach to defeating Maduro would still take time, but it would be preferable to using force or invading Venezuela, an option that would not be a quick fix, considering the various armed actors active in that country that could likely make any form of intervention a prolonged and bloody endeavor. Dealing with Maduro will require more creativity and persistence, which means that diplomatic efforts as well as sanctions by themselves are unlikely to do the trick, just as they have failed to bring change to other dictatorships like North Korea, Iran or Cuba. The U.S. and the Venezuelan opposition will succeed in Venezuela when they are perceived by chavismo to be just as dangerous and intractable as the Maduro regime has become. Raul Gallegos is a political risk consultant and the author of Crude Nation: How Oil Riches Ruined Venezuela ” Petroleumworld does not necessarily share these views. Editor's Note: This article was originally published by Americas Quarterly, on April. 03, 2019. Petroleumworld reprint this article in the interest of our readers. All comments posted and published on Petroleumworld, do not reflect either for or against the opinion expressed in the comment as an endorsement of Petroleumworld. If you wish to use copyrighted material from this site for purposes of your own that go beyond 'fair use', you must obtain permission from the copyright owner. Internet web links to http://www.petroleumworld.com are appreciated. Petroleumworld Copyright© 1999-2018 Petroleumworld or respective author or news agency. All rights reserved. We welcome the use of Petroleumworld™ stories by anyone provided it mentions Petroleumworld.com as the source. Other stories you have to get authorization by its authors. Internet web links to http://www.petroleumworld.com are appreciated. CopyRight ©1999- 2019, Petroleumworld ™ / Elio Ohep All rights reservedLegal Information This site is a public free site and it contains copyrighted material the use of which has not always been specifically authorized by the copyright owner.We are making such material available in our efforts to advance understanding of business, environmental, political, human rights, economic, democracy, scientific, and social justice issues, etc. We believe this constitutes a 'fair use' of any such copyrighted material as provided for in section 107 of the US Copyright Law. In accordance with Title 17 U.S.C. Section 107, the material on this site is distributed without profit to those who have chosen to view the included information for research, information, and educational purposes. For more information go to: http://www.law.cornell.edu/uscode/17/107.shtml.If you wish to use copyrighted material from this site for purposes of your own that go beyond 'fair use', you must obtain permission from Petroleumworld or the copyright owner of the material.Internet Web links to http://www.petroleumworld.com are apreciated.Petroleumworld no se hace responsable por los juicios de valor emitidos por esta publicacion, por sus colaboradores y columnistas de opinión y análisis. Aceptamos colaboraciones previa evaluación por nuestro equipo editorial, estamos abiertos a todo tipo o corriente de opiniones, siempre y cuando a nuestro juicio esten dentro de valores éticos y morales razonables. Petroleumworld alienta a las personas a reproducir, reimprimir, y divulgar a través de los medios audiovisuales e Internet, los comentarios editoriales y de opinión de Petroleumworld, siempre y cuando esa reproducción identifique a la fuente original, http://www.petroleumworld.com y se haga dentro de el uso normal (fair use) de la doctrina de la sección 107 de la Ley de derechos de autor de los Estados Unidos de Norteamérica (US Copyright) Internet Web links hacia http://www.petroleumworld.com son apreciadas.